NEW YORK - Aug. 22, 2017 - PRLog -- Acclaimed actor James Faulkner will be a featured guest on The Jimmy Star Show with Ron Russell live radio/tv show hosted by King of Cool Jimmy Star along with Cool Man About Town Ron Russell to discuss his film/television career and the entertainment industries at large. The Jimmy Star Show with Ron Russell is tv/radio's coolest hit show, featuring the coolest in music, entertainment, fashion and pop culture, all from a fun industry insider perspective in a completely live, unedited fast-paced two-hour conversational format. Plays Randyll Tarly in Season 6 and 7 of HBO's GAME OF THRONES. He plays 'C' the Head of MI6 in Charlize Theron's new vehicle ATOMIC BLONDE which was a major worldwide release in July 2017. He played Cassius in the new UNDERWORLD:BLOOD WARS. He was recently in the Starz/Fox/BBC Worldwide series DA VINCI'S DEMONS playing both the Pope and the Prisoner for all three seasons. He was Lord Sinderby in the award winning show DOWNTON ABBEY. He is Uncle Geoffrey in the BRIDGET JONES franchise. 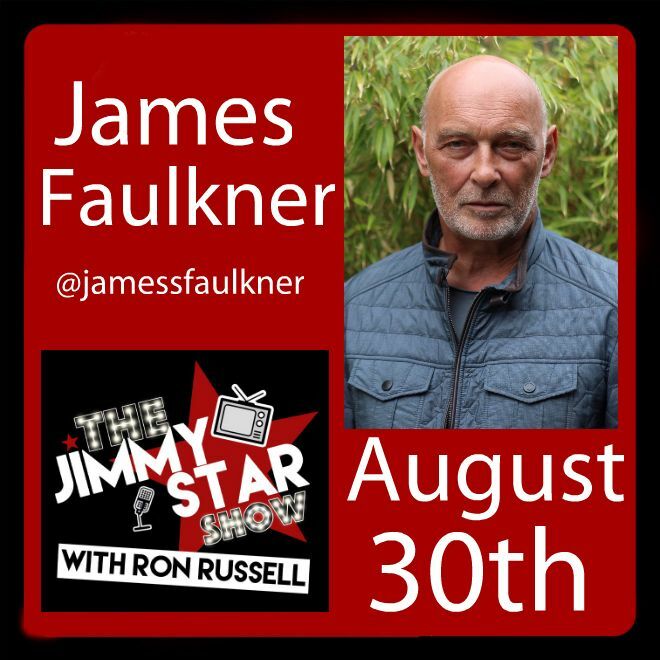 The Jimmy Star Show with Ron Russell is pleased to showcase the expertise and talent of James Faulkner and all anticipate a fun and informative time talking with him about his career and the entertainment industries at large. Join King of Cool Jimmy Star, and Cool Man about Town Ron Russell as they have a playful and sometimes wild time with the talented featured guest! To hear/watch James Faulkner live on The Jimmy Star Show with Ron Russell tune in to W4CY Radio on Wednesday August 30th, 2017 from 3-5 pm ET and 12-2 pm PT online at www.w4cy.com from anywhere in the world!